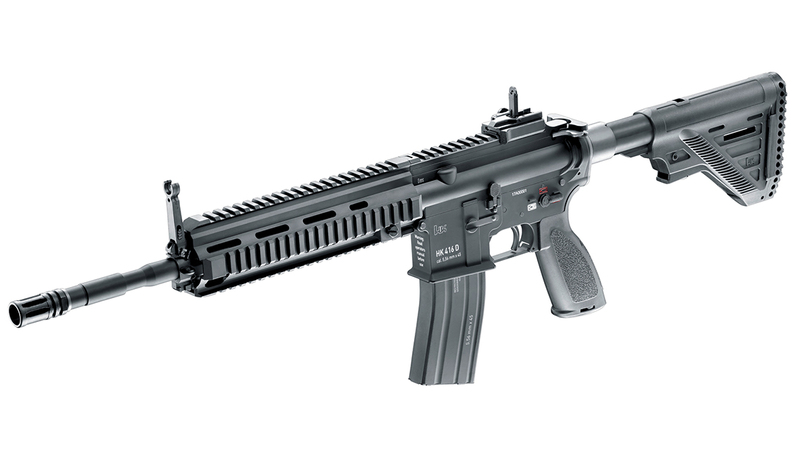 This famous Heckler & Koch assault rifle will stir the heart of every airsoft fan. Whether used in the field or presented in a display case, it will stand out for its all-metal construction and many signs of excellent workmanship. 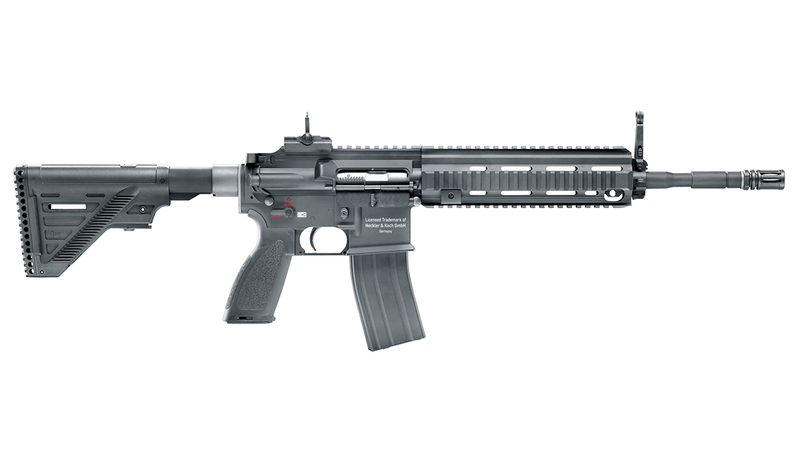 Like the original, the GBB version weighs 3.5 kg. 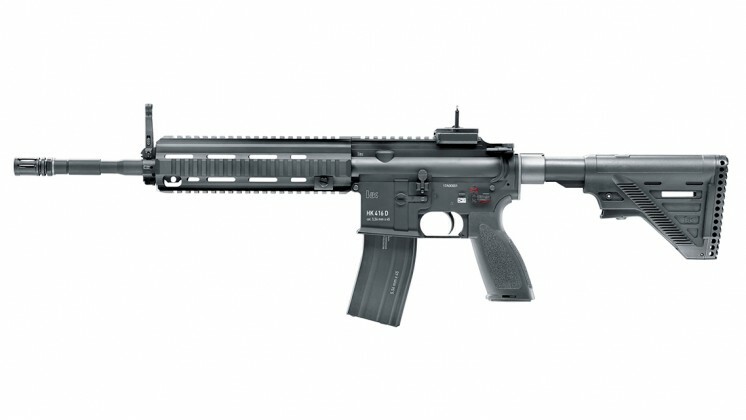 It fires 6 mm BBs with a convincing blowback. An adjustable shoot-up and flip-up rear sight guarantee that the 40 pellets in the magazine all hit their mark. Basic InformationLoading Capacity40 RoundsMagazine suitable forUmarex/..